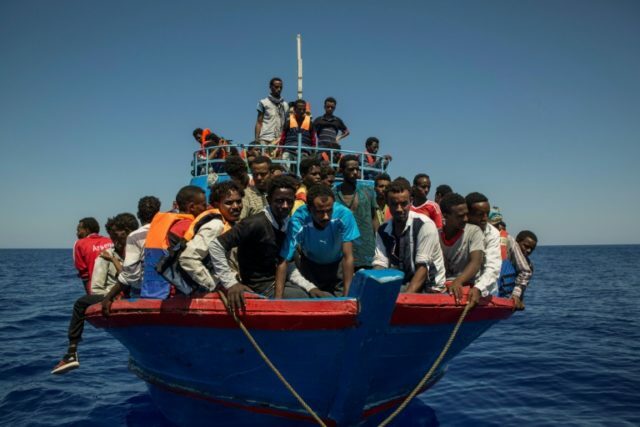 Rome (AFP) – More than 20 African migrants were missing and feared drowned Tuesday after scores of people seeking to reach Italy were rescued from unseaworthy boats off the Libyan coast, the International Organization for Migration (IOM) said Tuesday. A Cypriot merchant ship picked up 72 migrants in international waters on Saturday, 30 of whom had left Libya on a wooden boat and 42 others from a rubber dinghy. The IOM said that after arriving at the port of Pozzallo in Sicily on Tuesday, the survivors from the first group told them that 21 people travelling with them had been lost at sea. “People fell in the water when people panicked overnight and the boat almost capsized,” a young Gambian migrant told SOS Mediterranee. Those in the second group said that 90 people were rescued by the Libyan coastguard and taken back to Libya. “We do not know exactly how it happened but families have been separated and we are trying to see how to bring them back together,” Flavio Di Giacomo, spokesman for IOM in Italy, told AFP. Italy’s interior ministry said 5,300 migrants have arrived in the country this year, 66 percent fewer than over the same period of 2017. That follows a sharp decline since last summer after a controversial agreement was struck with Libya that has drawn fierce criticism due to the often dire conditions migrants face when returned to the north African country. At least 337 migrants have died or disappeared off the coast of Libya since the beginning of the year, the IOM said.